Phil Corkin Sr., was an enterprising, charming Irish rogue, who at 14 years old stowed away on a ship to come across the Atlantic and seek his fortune in the late 1800’s. 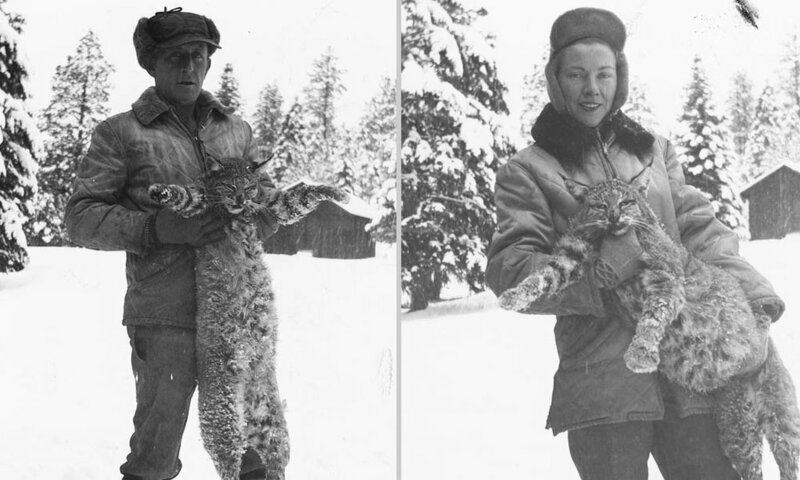 He apparently trained as a veterinarian in Canada, and worked various jobs around the Southwest until becoming a Ranger with the New Mexico Game and Fish department. He was first and foremost, however, an opportunist and a gambler: he was said to have bet on anything from a horse race to which fly would cross the table first at a saloon. 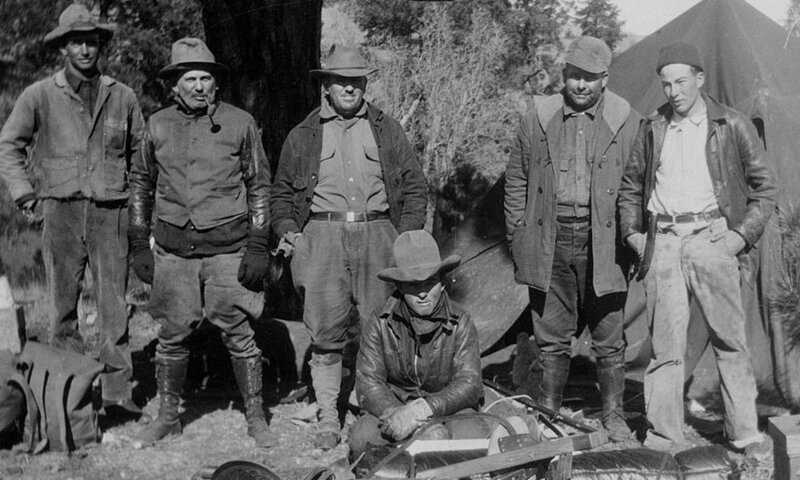 Some outdoorsmen friends approached Mr. Corkin in the early 1920’s and offered to partner with him on a rustic wilderness camp up in the mountains of the upper Chama River valley, proposing that he run the place for them all. was the sole remaining partner by 1929 the year that marked the beginning of The Great Depression, and the same year Georgia O'Keefe made her first trip to New Mexico. The Corkins Lodge property was thus originally purchased as a private fishing camp by this adventurous group. 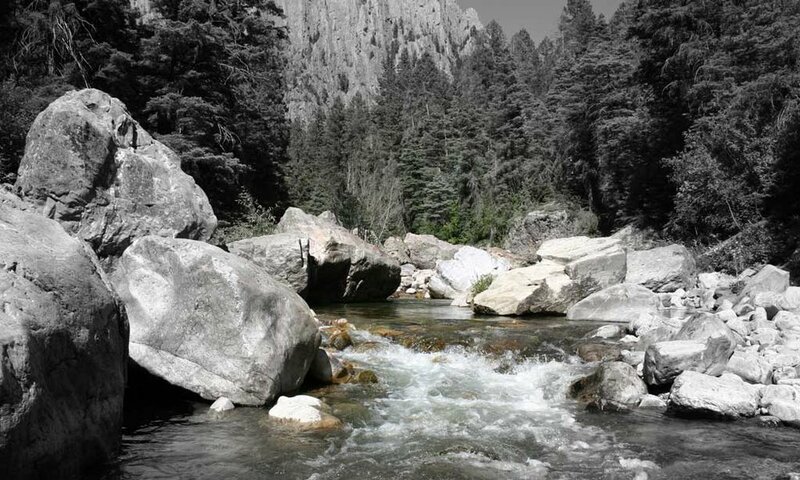 They would drive up from Albuquerque in Model-T cars on rutted dirt roads for the pleasure of fishing with their friends at "the end of the road" and the beginning of the rough wilderness of the Brazos River Canyon. This trip would take, on average, nine hours. Today you can make it in three-and-a-half. They offered guests home-cooked meals, snug cabins and guided hunting and fishing trips on horseback up through the scenic high country and into the extraordinary Brazos River box canyon. Phil Jr. wryly remembered that in his teenage years his father could always be found seated outside the door to the old lodge building, his chair tipped back, greeting his guests with hearty good cheer, while Phil’s mom worked in the kitchen and cabins. Phil Jr. chopped the wood, repaired the buildings, guided the guests out on their trips, and took care of all the rest of the hard labor. Frances, a smart and enterpising young woman who had worked her way up from a tough childhood in Lubbock, took a good look at Phil Jr. and told a co-worker that this was the man she was going to marry. Not so long afterward, the new Mrs. Phil Corkin Jr. joined her husband and parents-in-law to help run Corkins Lodge. When Phil Sr. and his wife retired from the Lodge in the 1950’s, Phil and Francis Corkin took over. They were a hardworking team: Phil managed the buildings and the guests experience out on the land, while Francis did the bookkeeping, cooked three meals a day, and with the help of several local teenage girls—including Philo—cleaned the cabins and served the guests. In the winter they shut down the lodge and travelled the world. Over the years they gradually added more cabins and expanded the business. Phil was eventually able to purchase two adjoining parcels of land and put together the beautiful property you see today. The Corkins worked hard to maintain the integrity of the lodge, even as adjacent land was being parceled out into smaller lots. Phil and Frances Corkin eventually retired, and sold the Lodge in the mid-1970’s. They had seen through many changes, including a move from a more traditional view of land use toward a more environmentally-sensitive position. Corkins Lodge passed through the hands of several proprieters until 1995, when the current owner purchased the property from a group of partners led by Nino Trujillo, of Albuquerque. For the past 15 years a long-term vision focusing on restoration of the land to its wilderness state has guided the work here. Philo Martinez, the manager, began work at the Lodge as a teenager under the careful eye of Phil and Frances. She now runs Corkins with the same meticulous attention to detail and care of its guests. 2017 is her 50th year! While we now offer much-improved amenities Corkins has kept the same rustic character of its early years. 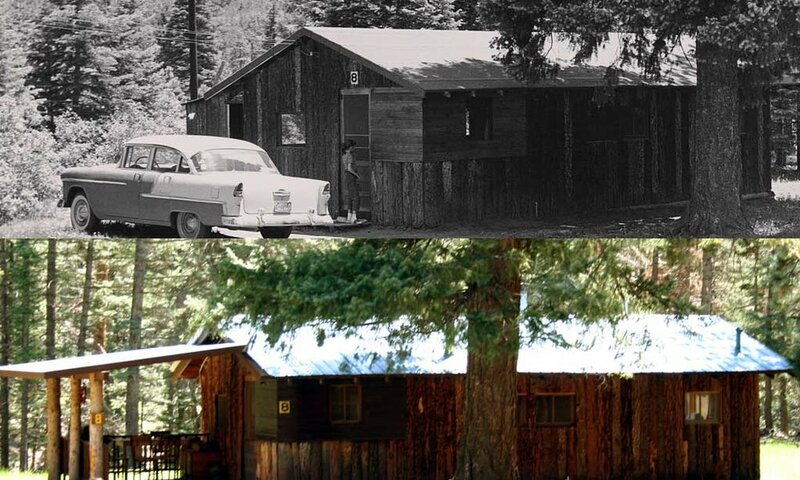 The older cabins have been carefully restored to their simple, direct architecture, and new additions have been designed in keeping with the original work. The Lodge is lovingly maintained in the spirit of Phil and Frances Corkin’s commitment to the land. Actions like road and livestock removal and the use of long-term forest management principles have helped restore the land to its wilderness state. We intend to keep it this way for future generations.